You get both the 100% version and the 400% figure in this set! 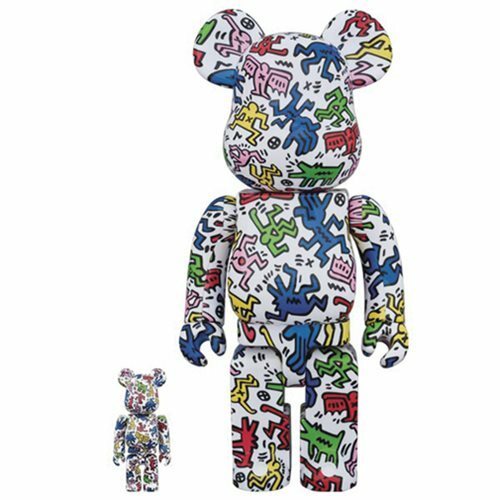 Inspired by American artist and social activist Keith Haring, whose work responded to the New York City street culture of the 1980s, these Keith Haring Design 100% and 400% Bearbrick Figures from Medicom Toy feature vivid paintwork reminiscent of his art. The 100% version stands about 2 3/4-inches tall, while the 400% [email protected] measures approximately 11-inches tall. You get both in this set! Ages 15 and up.